Dr. Moniaree Jones serves as assistant professor of nursing in Samford University's Ida Moffett School of Nursing and part-time legal nurse consultant. 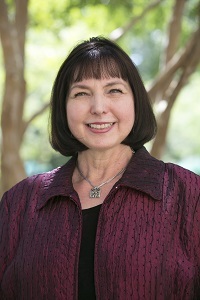 Prior to assuming her current positions, she worked as assistant professor at Auburn University at Montgomery, and as a legal nurse consultant with the law firms of Bradley Arant Boult Cummings, and Haskell, Slaughter, Young, and Rediker. She also worked previously as a case manager and an occupational health nurse in a large commodities chemical plant in Louisiana. Jones possesses experience in psychiatric, emergency room nursing and public health. She is a published journal and book chapter author with her latest publication on The Lived Experience of Chronic Pain In Nurse Educators. She is also a frequent lecturer and guest speaker. Langham, G., Jones, M., Terry, A. (2017) Transforming future nurses through simulation in mental health nursing. Journal of Nursing Education and Practice 7(4) doi:10.5430/xyz.vlnlpl. Poster Presentation to the American Psychiatric Nurses Association entitled: Teaching Nursing Students About Autism Using Movies and Simulation. Presented October 19-22, 2016 Hartford, CT.